We offer the 5 day Basic Safety Training course as approved under STCW. 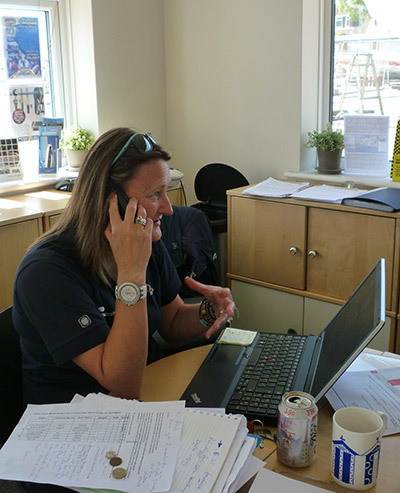 The course is fully approved by the Maritime & Coastguard Agency (‘MCA’). This course can be taken as a full 5 day package or as individual modules to suit your needs. The course is delivered through a mixed mode of theory and practically based exercises. Up to a maximum of 12 per course. The Standard of Training, Certification and Watchkeeping (STCW) code requires all seafarers to receive familiarisation and basic safety training in accordance with section A-VI/1. A course with a difference! One of the limitations of many STCW courses is that the fire fighting is based around fighting a simulated fire using gas. Whilst this gives good experience far better is to fight a real fire burning materials such as wood – this is what our course does. You will need to provide a photographic proof of identification (eg a passport) with your booking form and bring the original along on the day. Please note that there are practical elements on certain training modules that contain some physically demanding exercises. Any candidate unsure of their health and fitness as to their ability to participate in such activities should consult their doctor. Please contact if you need to undertake individual elements of the STCW Basic Safety Training Course rather than the whole course and we will create a specific quote for you.